Since most of us don't have time to attend late-night gigs and concerts to experience unadulterated music upfront, we're bringing the incomparable feel of a live performance to you, from only the best artists the country has to offer. This is also our way of showing our unbridled love and support to Original Pilipino Music. For our inaugural month, we are lucky to be serenaded by acoustic virtuoso Johnoy Danao. Last week, he kicked things off with a song about being stuck in the friendzone—"Bakuran" from his album Samu't Sari. 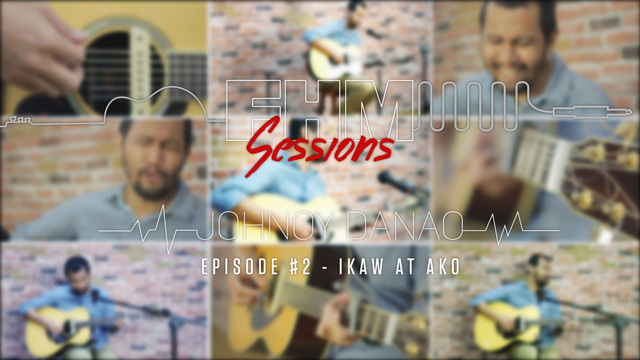 This time, he gives us a heartfelt, stripped-down rendition of arguably his most recognized effort to date: "Ikaw At Ako." Can't get enough of Johnoy? Score an autographed CD and other related merchandise by clicking here.